When you list your home with Song Real Estate, you don’t just have one realtor helping you sell your home, you have the entire Song Real Estate Team. We have a ton of great marketing techniques that actually WORK. One of our favorite marketing tools is our full color, individually designed property flyers. 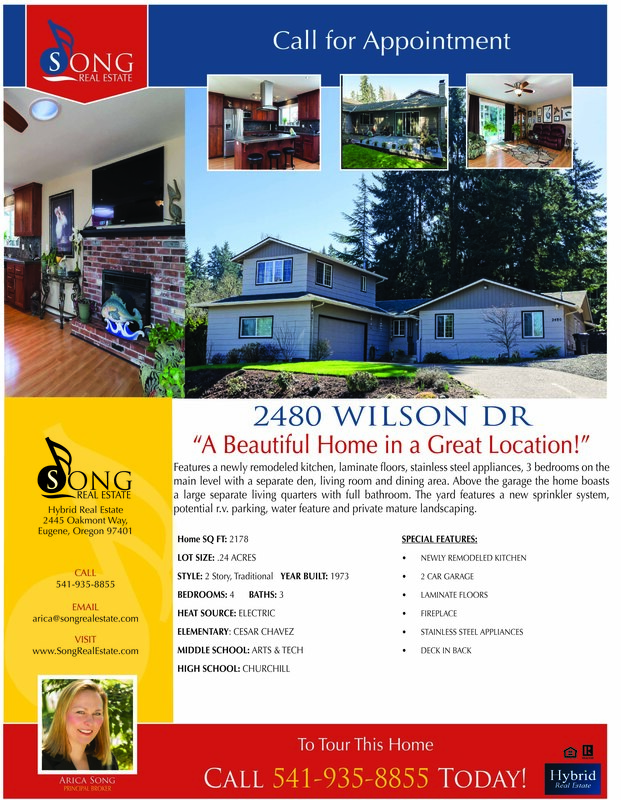 With Song Real Estate, you will get a supply of these in a flyer box to show all of your home’s best features to every potential buyer! 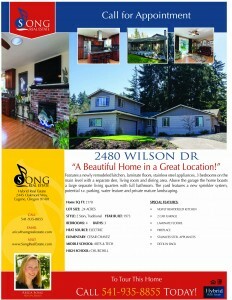 Call Song Real Estate today at 541-935-8855 to get your home sold quickly and for the best possible price!